French film-maker Claude Sautet’s works weren’t groundbreaking in its film form, unlike the cinema of luminary directors of the era – Godard, Resnais, Truffaut, etc. He made his directorial debut with 1960 crime/drama “The Big Risk” and in the same year he worked on the script of classic French horror “Eyes without a Face” with Georges Franju (he also co-wrote scripts for Louis Malle & Ophuls, earning the term “script doctor”). But, in his later films he chose ambivalent, Parisian middle-class, middle-aged characters to faithfully reflect their surroundings. Sautet may not belong to the innovative camp of ‘La Nouvelle Vogue’, although his low-key direction plus the ominous emotions that lies beneath the placid narrative surface are something I have come to appreciate in the repeated viewings. 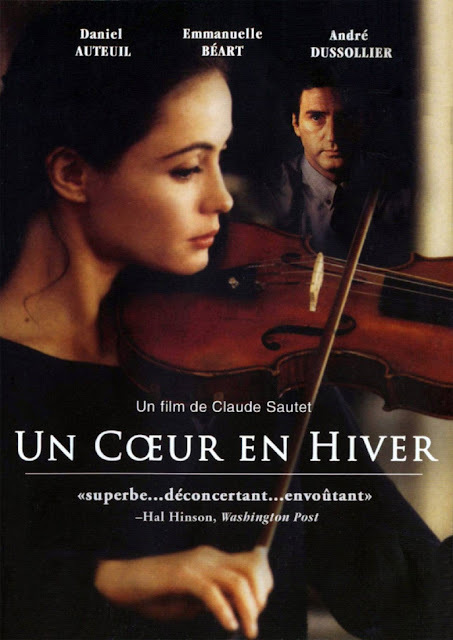 I haven’t fully explored the director’s works to comment on the intricacies of his interpersonal themes, but when watching “A Heart in Winter” (‘Un Coeur en Hiver’, 1992) it seemed to boast less of the romanticism and optimistic feeling of his earlier works. The plot description passes the feeling that it’s yet another romantic triangle. However, it flawlessly plays with the senses of viewers to create a nuanced study on the complexity of human relationships and emotions. Sautet’s characters are sophisticated urban professionals, ranging from lawyers to artists. They go through their banal, stuffy lives with gentility. While the endearing examination of these people may serve as a good anthropological filmic treatment, it would disappoint viewers expecting some kind of dramatic feast. In “A Heart in Winter” the principal players are: Stephane (Daniel Auteuil), an enigmatic, silent middle-aged mender of string instruments; Stephane’s partner Maxime (Andre Dussollier) is a smooth-talker who brings in the clients and enjoys the rich Parisian social life; and Camille Kessler (Emmanuelle Beart), a very talented violinist and new lover of Maxime. The film opens with Stephane methodically making a violin and explaining, in a voice-over, his relationship with Maxime. He divulges a lot of information about Maxime, whom he sees more as boss and ‘friend with mutual interest’ rather than just using the term ‘friend’. As a person incapable of emotional intimacy, Stephane acknowledges Maxime’s presence in his life as something symbiotic. One day, Maxime introduces Camille and says that he is leaving his wife for her. Camille comes across as a very confident individual. A string buzz on the violin makes her to take it to Stephane for repair. He pays full attention and quickly repairs the problem before a scheduled recording program. Although he doesn’t express his feelings clearly, Stephane seems to show genuine interest in Camille’s music. Initially, Camille is disturbed by his calm stare and lack of emotional response, but gradually she gets attracted to him. Stephane shows up at her rehearsals, recordings and takes her out for a drink. Camille has the feeling that Stephane is playing an intellectual game to seduce her (Stephane says so in a heated argument, although we can never be sure if that was truly his motivation), but still she desires him and expresses that emotion. He just plainly rejects her, stating that he is incapable of loving another human being. Stephane isn’t a person whom you can contain with a psychoanalytic term. He knows and acknowledges that he leads an emotionally dull life and never shows any feelings of pride and obstinacy. This kind of enigmatic behavior makes Camille vulnerable and uncertain about Stephane’s coldness. May be Stephane really cares for the young violinist, but does his ‘wintry heart’ possess any love for her? The general outline of “A Heart in Winter” deceptively makes us think of Truffaut’s masterpiece “Jules and Jim”. 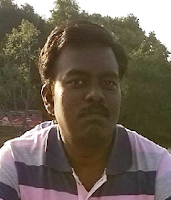 The script does follow the general rule of a love triangle in which each individual would remain incomplete, if left alone. Maxime relies on Stephane’s flawless workmanship for building relationship with clients and Stephane gets his emotionally detached existence by exhibiting some semblance of connection with Maxime. Camille, the center of attraction, gains confidence and forced into despair by the attentive gaze of these two men. Her confidence & dynamic rise is indirectly connected with the unexpected surge of passion she feels for them. But, beneath this obvious romantic triangle, what Sautet profoundly examines are the mysteries of human nature and the persistently worrying emotional realities we face. Sautet & co-writer Jacques Fieschi’s script doesn’t allow space for us to judge the motivations behind the character’s actions. On the hands of a lesser nuanced film-maker, Maxime would have been the pitiable guy, Stephane would be pinned up with psychological term, and Camille would look like a egotistical person, always desiring the intent gaze of men. This undecipherable nature of the characters makes their relationship much deeper. When Stephane says, “Do you want me to invent reasons, traumas? Unhappy childhood, sexual frustration, career nipped in the bud?” it appeared to be addressing the viewers looking for a reason. His mindset doesn't conform any dramatic psychological terms. After the film’s most emotional episode, Stephane comes to Camille’s place for seeking forgiveness. While he acknowledges that he has hurt her, he doesn’t try to annul his previous rejection of her. This scene subtly zeroes-in on Stephane’s emotional barrenness. In a typical narrative, this scene would be designed as climax, where the characters would remain locked in an embrace. It would be stupid or at least futile to view characters in the film by staring through a psychological lens. I can’t come to a conclusion about Stephane on whether he more than 'cared' for Camille or at least loved his mentor Lachome. In a society that still thinks introverted behavior as something ‘alien’ & ‘abnormal’, it is no wonder we aren’t soothed with Stephane’s choice for a wintry heart. In a society that harshly judges young woman following their passion and feelings, it is no wonder about Camille being interpreted as a disastrous force. In the IMDb discussion boards for this movie, I read a member who interpreted the conflicts between Stephane and Camille as the conflict between art and craft. The unbridled passion made Camille as the talented violinist, whereas Stephane’s dispassion and methodical mind diffused him the craftsmanship. Thus, we can interpret on these diverse topics through the character nature of the musician and repairer. The technical aspects & performances elegantly merge with the subtle direction and writing. The music of Maurice Ravel was just spectacular and soul-stirring. Autueil’s marvelous performance smoothly conveys his characters’ inability in sustaining a relationship. And despite the coldness, we are able to empathize with him as his dull existence only brings derives more poignancy from the viewers. Emmanuelle Beart’s portrayal of Camille was intriguing, especially when she exhibits the inability to curb her desire for Stephane. I think this film has one of the most bold and ambiguous ending. There’s no emotional catharsis or a sense of optimism. 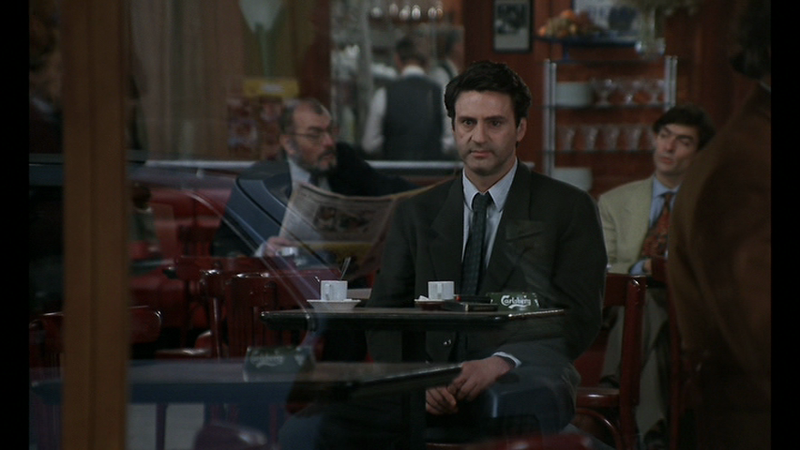 As Stephane sits alone in the café and as he sees the brief, longing gaze of Camille departing in a car, we can’t help ourselves but wonder whether Stephane will get or seek a respite from this existential loneliness. Is there any possibility of a soul-cleansing experience? Did Camille provide a powerful emotional experience, which would eventually push him to lead an emotionally rich life? I certainly didn’t know. I was only left with a sense of distress. And looking at the dimly-lit frame which seems to pass on a wintry chill, I can only feel that there is not going to be a potential transformation, since this a ‘heart’ forever destined to be in the ‘winter’. While, most of the film-makers making a romance/drama would opt for the dust to settle down at the end, Mr. Claude Sautet marvelously keeps up the dust to cloak our senses with an ambiguity. “A Heart In Winter” aka “Un Coeur en Hiver” (105 minutes) is a must watch for movie-lovers, who like their cinema unpolished, ambiguous, non judgmental and mature.